I love Jesus, my hubby, and our Vizsla mix, Skylar! Oh...and pretty much all things creative! And guess I should mention my affinity for all things Salty & Crunchy!! One of my favorite things about what I do is watching my clients relax, and come alive in front of the camera. I love that. You may be like so many others that aren't comfortable in front of the camera, and aren't sure what to do. Not a problem. I am there to give posing guidance every step of the way, you won't even have to think about what to do, because I'll direct your every move. I absolutely love shooting women. There's something so wonderful about a woman having her hair & makeup done, flipping through multiple wardrobe options, and seeing her come out of her shell. I get to watch so many transformations happen right in front of my lens. 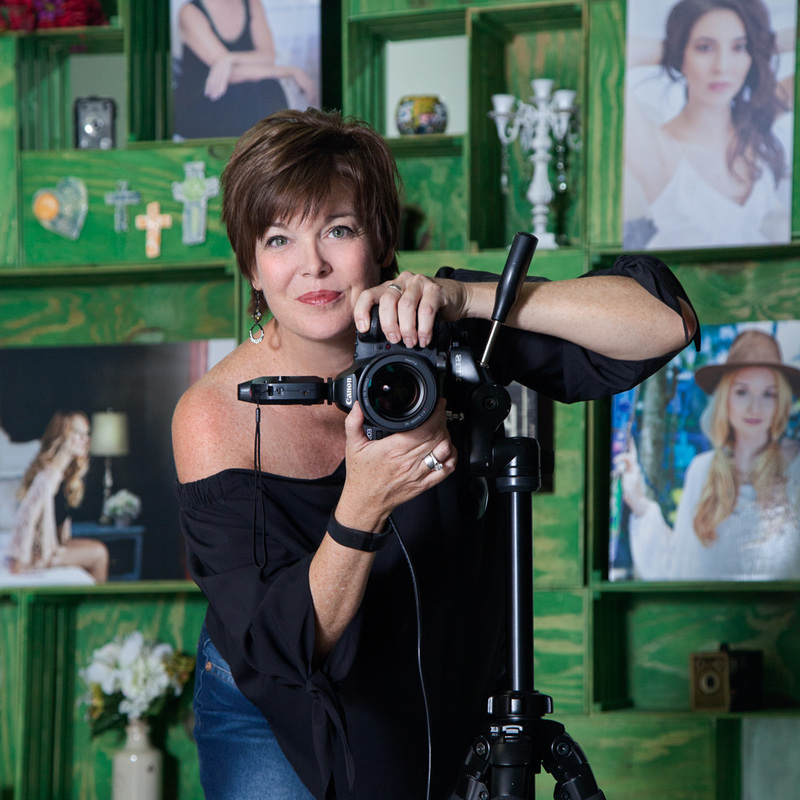 I can't tell you how many times, ladies tell me they feel like a Supermodel throughout the shoot - that's perfect, because I not only want you to end up with amazing portraits, I want you to enjoy the experience! So many women have told me not only did they have fun, it was a great boost for their self-esteem and confidence. Have I mentioned I love what I do?! And, then there are Seniors, full of personality, and use to being in front of the camera in today's world of selfies. They are a joy to work with. I love customizing shoots for the students, and making the shoot revolve around images that capture their personality and interests. I treat their shoots as I would a modeling shoot, so they get a taste of what that's like in the event any of them care to pursue modeling. And, if not, they got to feel like it for a day, and get some great photos to commemorate their accomplishments. I haven't always been a photographer, prior to shooting, I was a Designer & Art Director, and even spent several years modeling. I conceptualized and art directed photo shoots for companies like Royal Caribbean, Shells Restaurants, Publix Supermarkets, and most of the Marriott Hotel Brands! So even before I was shooting as a career, I was always around the camera, on one side or another. I think its all this experience combined that gives me a unique perspective when shooting for my clients. I can't wait to hear from you, and how you imagine your dream shoot! In beautiful downtown St. Petersburg. Entrance and parking in lot just west of MLK behind Anytime Fitness building. Free Parking. Listen in as I share why I do what I do, and and a little bit about what that is, with Debra Evans on WTIS 1110 radio, my segment starts at 1:24. (if you don't see a playable version of the mp3 above, CLICK HERE. Watch a fun look behind the scenes at a typical day of planning a shoot, and then what happens afterwards!